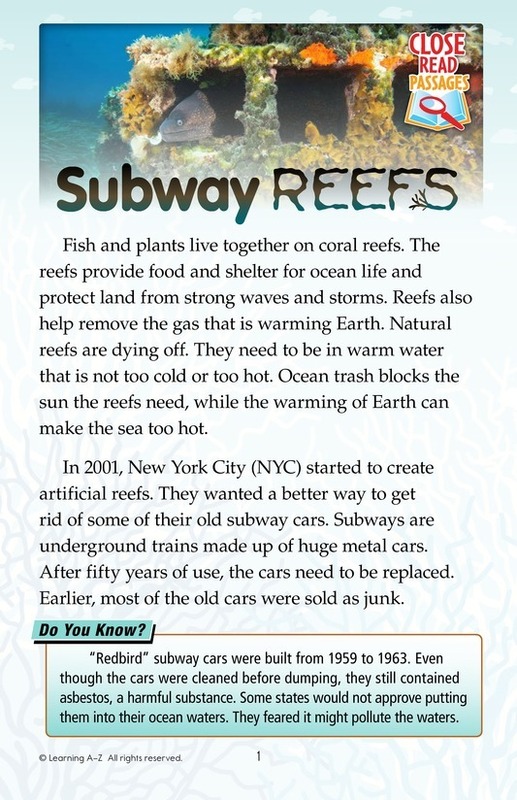 In 2001, New York City, looking for a better way to get rid of their old subway cars, started a program to create artificial reefs. They dumped old cars into the Atlantic Ocean. 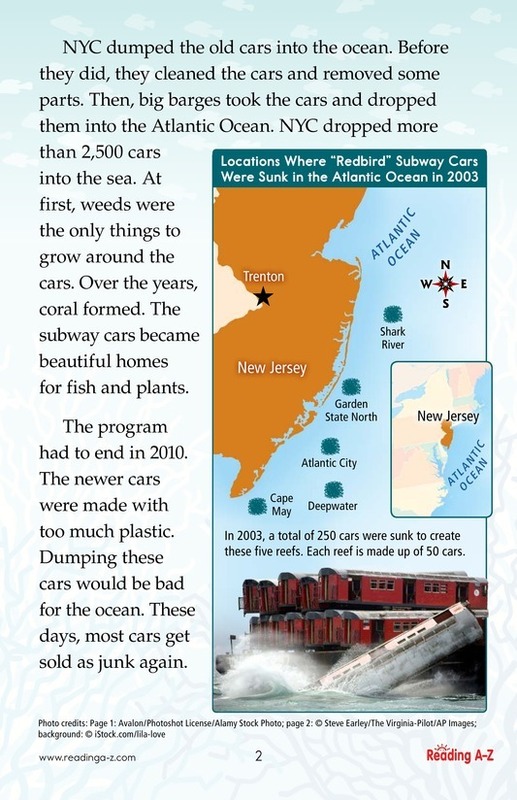 The program ended in 2010, however, because the newer cars contained too much plastic, which is bad for the ocean.